The “ASEAN Wind Energy 2019” conference in Ho Chi Minh City succeeded in opening up new investment windows for ASEAN in general and Vietnam in particular. The conference is a large-scale business platform for Southeast Asia that anticipates changes in the region’s immense wind market, specially covering Vietnam, Philippines, Thailand and Indonesia. The event aims to lay the groundwork for industry peers to connect and develop partnerships, invest and grow. The two-day (April 1-2) conference attracted more than 800 Vietnamese and international participants including 70 speakers, 20 consulting companies, developers, investors, government officials and other third party associates. 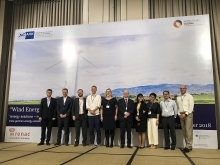 The “ASEAN Wind Energy 2019” conference created many chances for participants to network, connect directly and promote cooperation in the industry via its “Online Meeting Platform”. It offered new partnership opportunities for governments & developers, presented wind power investment guidelines for the ASEAN region, information on hybrid wind farms, offshore wind supply chain & smart grids, as well as the feasibility of offshore wind and projects. Among the main topics discussed at the conference were: ASEAN Wind Development – Policies, Challenges & Opportunities; Project Development and Future Plan of Vietnam Wind Energy; Challenges in Wind Power Financing and De-risk the Investment; Social Impact of Developing ASEAN Wind Energy; Hybrid Wind Power Prospects in ASEAN; and Development & Challenges of Offshore Wind Supply Chain in ASEAN. 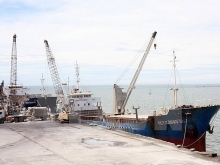 According to experts, Vietnam has some of the best wind resources in ASEAN. Vietnam’s wind power capacity targets are: 800 MW in 2020; 2000 MW in 2025; and 6000MW in 2030. The wind energy potential in Vietnam is high and the market is promising for investors, the conference heard. In panel discussions, speakers and experts discussed details about the opportunities and challenge. They also shared experiences and common interests on current project developments and future plans in Vietnam. Under the auspices of the ASEAN Wind Energy 2019 conference was a symposium: “Vietnam Green Energy Finance & Investment 2019”. 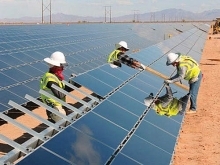 The Vietnam Green Energy Finance & Investment 2019 symposium focused on renewable energy, especially solar and wind energy, which have been developing faster than any other traditional energy in Vietnam. 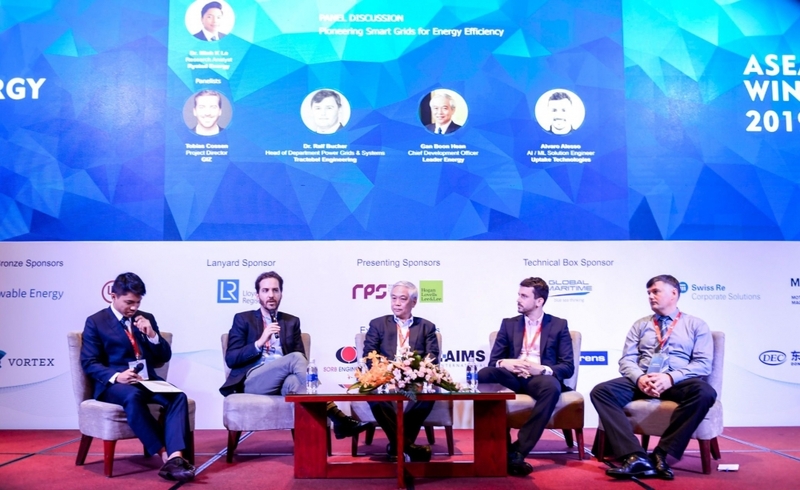 The event brought together all investors, financiers, developers, IPPs, EPCs and other stakeholders to discuss bankable green energy projects in Vietnam, as well as challenges of obtaining access to capital. The highlights of this event were networking opportunities with banks, developers and private equity funds, renewable power investment guidelines in Vietnam, and feasibility of utility scale solar farms. The events were organized by Leader Associates (China).